In the Odisha region of India there are many vulnerable and under-nourished children that lack education and food. With meagre employment opportunities due to illiteracy, people struggle for daily survival, and find it very difficult to send their children to school. Some forage for food in the forest but severe drought conditions has dried up food sources. Many do not have enough to eat and children being born there are dying of malnutrition. Aren't they all Our Children? In this area of India, a little money goes a long way. 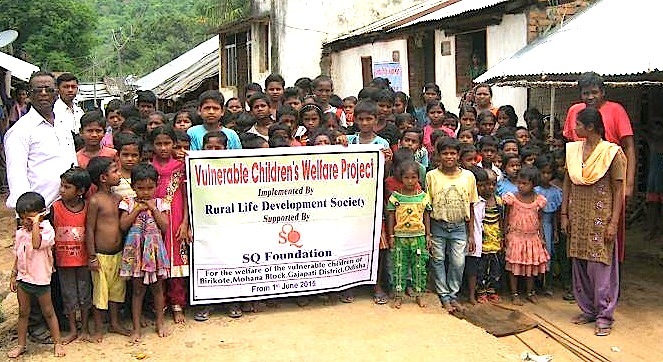 We need your help to feed and educate the vulnerable children in this region of India. The Rural Life Development Society program costs only $108 per year to feed and educate each child – that’s just $9 per month, or 30 cents per day. Please give generously to these precious beings, so we can remind them that they are loved and never forgotten.